“Fans of Arrow have already met Barry Allen. Now say hello to The Flash! 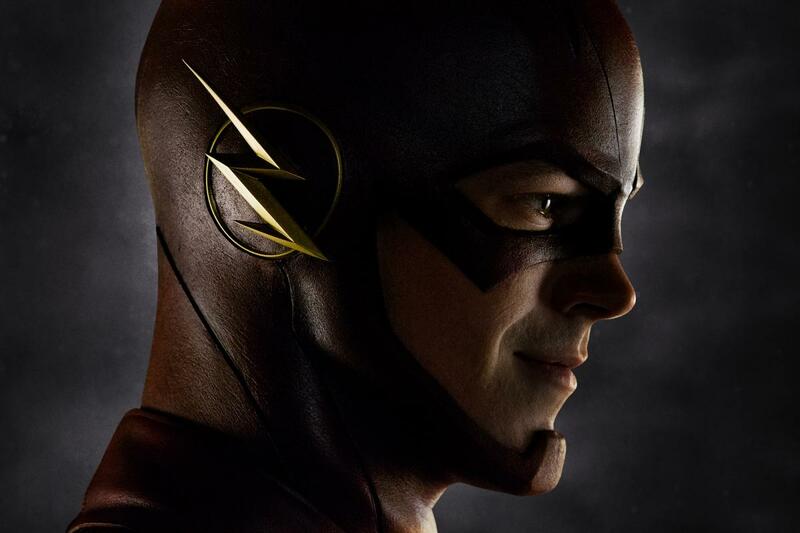 That’s Grant Gustin wearing the famous red and yellow in the first image to be released from The CW’s new pilot, The Flash. The costume for The Flash was designed by three-time Oscar® winner Colleen Atwood, who also designed the costume for Arrow and whose motion picture credits include Academy Awards® for her work on Alice in Wonderland, Memoirs of a Geisha and Chicago, as well as seven additional Oscar® nominations for films such as Snow White and the Huntsman, Sweeney Todd: The Demon Barber of Fleet Street and Sleepy Hollow. The Flash pilot is executive produced by Greg Berlanti, Andrew Kreisberg and David Nutter (all of whom also executive produce Arrow). Nutter is directing from a script by Berlanti & Kreisberg & DC Entertainment Chief Creative Officer Geoff Johns. Production on the pilot begins next week. The Flash is from Bonanza Productions Inc. in association with Berlanti Productions and Warner Bros. Television, and is based upon characters published by DC Comics. Read more from E!, The Hollywood Reporter, and EW. This entry was posted in TV and tagged arrow, barry allen, costume, first photo, glee, grant gustin, sebastian smythe, the flash. Bookmark the permalink.